The Kusserow family was active in their region distributing religious literature and teaching Bible study classes in their home. They were Jehovah's Witnesses. Their house was conveniently situated for fellow Jehovah's Witnesses along the tram route connecting the cities of Paderborn and Detmold. 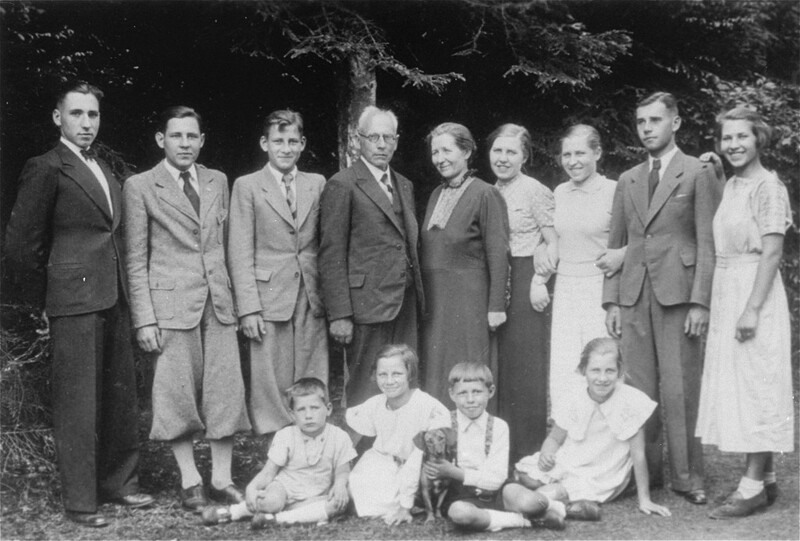 For the first three years after the Nazis came to power, the Kusserows endured moderate persecution by local Gestapo agents, who often came to search their home for religious materials. In 1936, Nazi police pressure increased dramatically, eventually resulting in the arrest of the family and its members' internment in various concentration camps. Most of the family remained incarcerated until the end of the war. Bad Lippspringe, Germany, ca. 1935.